NPR, also known as National Public Radio is a news site with radio/music integrated and they have recently updated their iOS app which is now compatible for the iPad. Engage, explore and discover new music of all genres with the NPR Music app. Pop/Rock/Folk, Jazz & Blues, World, Classical and Hip Hop/R&B – you get music programmed by people and the quality storytelling you expect from NPR. You can read music news and reviews while listening to interviews, live concerts or exclusive streams of albums before they’re released. 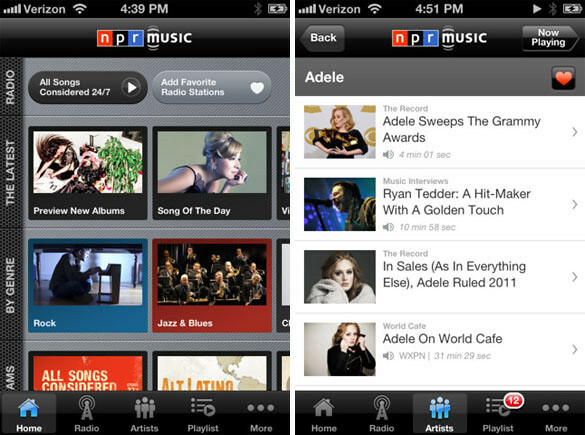 Multitask with the NPR Music app as your guide to new music. 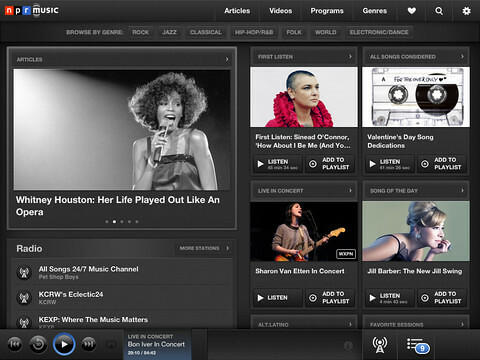 – Live music streams from more than 75 public radio stations, handpicked by the country’s best DJs. 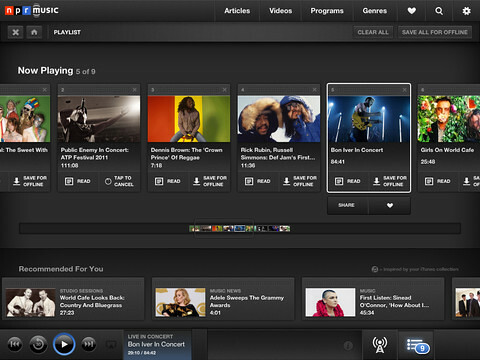 Browse by genre and set favorites. – Signature programs and popular series, such as All Songs Considered, Mountain Stage, First Listen, Song Of The Day and Marian McPartland’s Piano Jazz. The app directs to a station stream when any given program is on-air. You can also install the app on the iPhone.